The Hexiwear Docking Station is for developers who want complete control over Hexiwear’s hardware. Expand Hexiwear with up to three click boards and turn it into something completely different. 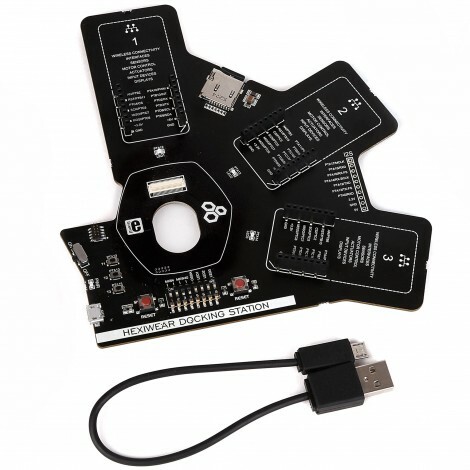 Upload new firmware through the USB port using the onboard OpenSDA programmer; or connect an external programmer to the Cortex Debug connector. Expand Hexiwear’s memory with an SD Card. Add audio capabilities using the I2S pinout. See full Documentation.